The Location Information Manager (LIM) is a web-based administration tool that provides departments with the ability to quickly and easily maintain information regarding locations within their organization. 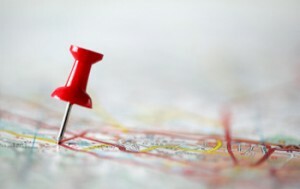 The Location Information Manager (LIM) is a web-based administration tool that provides departments the ability to quickly and easily maintain information regarding locations within their organization. For instance, hours of operation, descriptions, pictures, building coordinators, main phone number, locations within buildings, etc. can be entered, stored, and updated in one place and then used in several places, including an organization's website. The Location Information Manager helps replace paper, PDF, Excel and HTML hard-coding processes. The organization's website can, through use of web services, have fully updated hours of operation at all times. The location information can also be sent to other applications, including GoMizzou, to allow students, faculty and staff to check hours of operation on-the-go. Location Information Manager is also available to Student Organizations. Go to doitservices.missouri.edu to request access to Location Information Manager. Login to the self-service portal with your University user id and password, select Service Catalog, and search for Web App Development.